This has been a tumultuous summer, featuring as it has a World Cup of football, a great deal of cricket and also my first ever new kitchen, whose arrival has been accompanied chez CF by quite a bit of wall-destruction, giant-steel-girder-insertion and assorted major disruption. The last five months – five months! – have whizzed miserably by under a constant deluge of decision-making and reheated microwavable dinners. Lights, plug sockets, paint colours, back doors, front doors, flooring, roofing, all of them and so much more had to be researched and ranked, pondered and picked. By the time I emerged from this cloud of clutter I realised that summer was nearly over, just as I found myself desperate to stretch out on a sun-kissed lawn, book in one hand, glass of something cold in the other. Sod it, I can relax next year. At least now I can cook. My indulgence – and every new kitchen surely needs one – has been an ice-making fridge. I’m a man who likes cold drinks to be really cold and hot drinks to be drunk exclusively by other people, and my days of lukewarm water are now over. By pure coincidence the very week I put in the order for my ice-producing fridge I received a bottle of sparkling wine intended to be drunk on ice. Perfect, I thought, I’ll try that in a few weeks when the fridge is installed. Four months later, it got opened. To say I had low expectations of this particular wine would be to massively overstate how good I expected it to be. The bottle looks hideous, enrobed as it is in a white plastic shrink-wrapped sheath, and the whole thing had not so much a faint whiff as an overwhelming pong of gimmickry about it. And it therefore gives me no great pleasure to report that it’s basically terrific. True, it does not taste enormously winey. It is redolent of wine, clearly wine-ish bit not all the way there. If told that it had been created in a laboratory using entirely artificial ingredients by researchers working on a drink less reliant on nature, less subject to vintage variations and containing considerably less grape juice than actual wine you perhaps wouldn’t be enormously surprised, though you’d certainly have to concede that those scientists had done an absolutely terrific job. But for all that, if you can throw your preconceptions aside this is a thrillingly successful wine-related adult-oriented sparkling party-beverage. It doesn’t taste of very much, and smells of even less, which probably adds to its appeal. It is reassuringly like wine, but with none of the complexities that might get in the way during large-scale relaxed social gatherings of the type intended for its consumption. Its lack of flavour leaves your brain to fill in the gaps, by finding within it anything it wants to find. Those who would like to be drinking Champagne will find a vaguely Champagney substance in their glass and be relatively content, while those who would like to be drinking a white wine spritzer, or lemonade, or water will find a vaguely spritzey/lemonady/watery substance in their glass and be relatively content. It is a light, bright, mildly alcoholic (11%) fizzy wine-style potation and I don’t see any reason why, so long as you disguise the bottle, it wouldn’t go down fabulously well at any gathering except the most wine-geeky. It’s not my favourite sparkling wine, or even my favourite sub-£10 sparkling wine, but I do think it’s extremely good at doing what it’s supposed to, and I’d be happy to serve it to my friends and expect them still to be my friends afterwards. What’s more, I wonder, if you took a representative group of, say, 100 Britons and gave them all a glass of this and a glass of, say, Pol Roger Cuvée Winston Churchill, which glasses would be emptied first. There’s nothing here to dislike – it’s a simple, thirstquenching drink, a bit like water only fizzier and less suitable for young children, and all the better for it. Finally we come to its ice-friendliness. 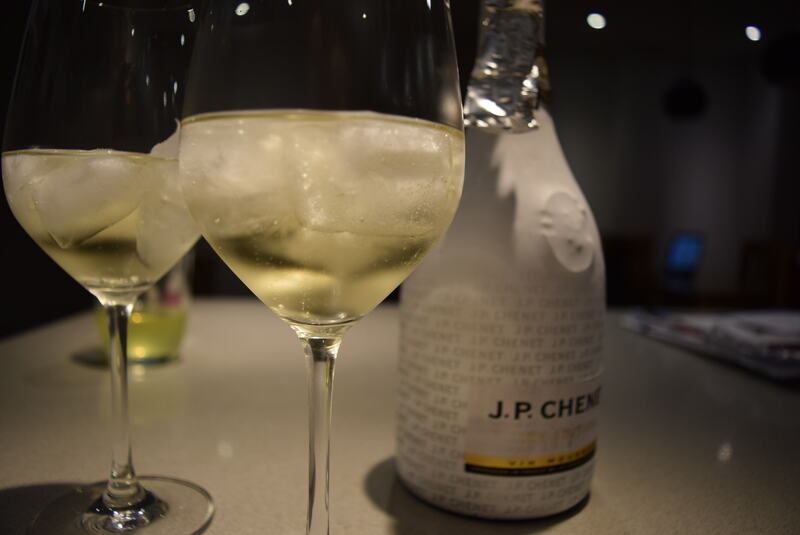 In the press release accompanying its launch JP Chenet boasted that it was “uniquely crafted to be served over ice without dilution”, but to the best of my limited scientific knowledge the only thing genuinely capable of being served over ice without dilution is water. Perhaps “uniquely crafted to be served over ice without dilution” is just a rather more impressive-sounding way of saying “doesn’t taste of much”. This entire launch could simply be an exercise in master spinnery, forced upon the company by a large batch of relatively tasteless off-dry fizz that they didn’t really have a way of selling. Whatever, consider my cap doffed. There was a time when turning water into wine would have been enough to get a religion named after you; now you might get a pat on the back and a decent year-end bonus. Whoever’s responsible, I’m a disciple. “Can we change your mind about New Zealand wine?” asked the press release. Um, not really. I mean, not with a sauvignon blanc. If you really want to change someone’s mind about a winemaking region, doing so with a textbook example of the single most typical wine of that region would seem an unusual and almost certainly futile way to go about it. 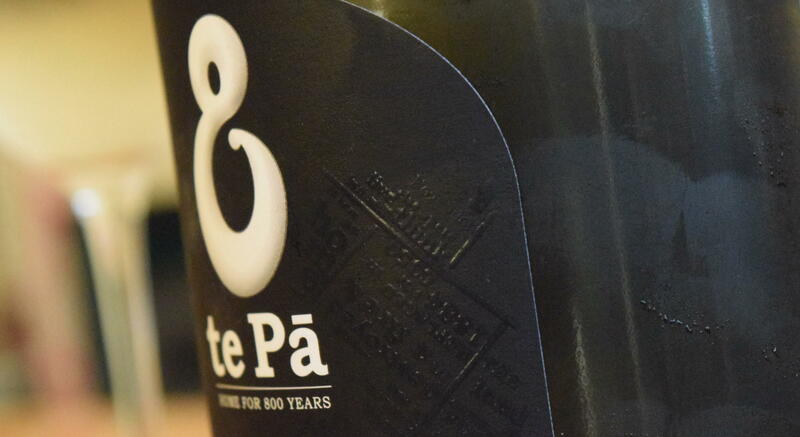 Te Pa (sorry, te Pā*) is a newish Marlborough winery, which released its first wine in 2011 and has 150 hectares of sauvignon blanc under the management of a Welshman named Garath Exton. Their sauvignon is good, crisp and extremely characterful, with an extravagant aroma (it doesn’t just whiff mildly of New Zealand sauvignon, it absolutely reeks of it. It extravagantly hums; if you pushed a blindfolded person into a smallish room with a glass of te Pā in it, they’d know there was a Kiwi in town). Bewilderingly pungent, if you want to teach someone exactly what Kiwi sauvignon blanc smells and tastes like, a glass of this could scarcely be bettered. I note that The Wine Society, which sells it for £9.95 (as do the Real Wine Company), suggests it should be drunk with vegeree (I later discover that their website makes different suggestions every time you look at the wine, which is confusing of them). I’ve never heard of vegeree, but assume it’s a vegetarian version of kedgeree, the popular mildly curried smoked haddock-starring rice-based breakfast dish. It would probably go fine with kedgeree too, and much else besides. If you like your average Kiwi sauvignon blanc, you’re going to think this is excellent (it is considerably better than average, and not much more expensive). If you don’t, well, it’s not going to change your mind. According to their website, “currently, te Pā produce only Sauvignan Blanc”, but the Wine Society also stock a pinot gris for £9.50 (cheaper here than in New Zealand, where it works out just under £11) and Kiwis can also find a pinot noir, a pinot-based rose and a premium, lees-aged sauvignon blanc, so we might see more of this company and their rather smart, embossed and curved labels over here in future. This, though, is a promising debut. * I’ve read pretty much the whole of their website and I still don’t know what te Pā means, though I can tell you that tepa, without the space or the funny line, is a crystalline organophosphorus compound often used as an insect sterilant, which might make a bottle of this wine absolutely hilarious in certain insect-sterilising circles. I can also tell you that tepa is a traditional food of the Alaskan Yup’ik people, and consists of fish heads that have been mixed with their eviscerated innards and left to ferment. Tepa, for obvious reasons, is also known as stinkheads. (Recipe in full, courtesy of the Alaska Department of Fish and Game: “The traditional way to prepare tepa is to bury the heads in the ground along with most of the fish guts in a wooden barrel covered with [hessian]. This is allowed to ferment for about a week, depending on weather conditions.”) Yum! I fear that this might limit this particular wine’s potential in the Alaskan market, although there’s a chance that it might coincidentally be a fairly good match for its (allegedly) edible namesake. Neither do I have any idea how to pronounce an a when there’s straight line hovering over it – it’s obviously a Māori thing. And so Germany won the World Cup, once again reaffirming their status as leviathans of football. If there’s an international tournament about, you can be fairly sure that the Germans will be there in the closing stages, battling it out for medals and glory. Four times now they have won the greatest tournament of them all, not to mention the four finals and five semi-finals. For the German football team, life is one long lap of honour, one immense open-top bus parade. Which is a bit of a shame for semi-professional football-and-wine analogists, because for all the garlands won by their footballers, if you were to fill a stadium with enthusiastic amateur wine-drinkers from across the world and bring out a succession of wines grouped by nationality – and to be fair I can imagine no reason why anyone would do this, but I’m speaking hypothetically here – Germany’s would get booed off. Some national football teams fit their homeland’s winegrowing profiles quite well. Chile, for example, were extremely popular at the World Cup, with a squad short on expensive stars that overdelivered. Italy assumed rivals would crumble in the face of their inevitable superiority but despite the presence of some extremely classy players they received a rude awakening. England believed they had produced some effervescent, sparkly players good enough to rival the best in Europe, but hadn’t. In their inarguable excellence the German team unified opinion in a way that their wines never do. I celebrated their success with a bottle of Von Winning 2012, a just a little bit off-dry riesling from the Pfalz, which I found delicious in a limey, green-appley, superlatively summery way; Mrs CF took a single sip and then actually threatened me with physical violence if I ever stain her glass with German wines again (she then proceeded to drink the rest of her glass and a couple more, grumbling all the while). The biggest club in German football is Bayern Munich, who hoover up domestic silverware with such perpetual hunger and remorseless drive that even their national side would be shamed by their relative lack of ambition and achievement. Nearly everyone likes Bayern Munich, and even those who don’t can’t help but acknowledge their excellence. But the nerdy football folk of this world, the people for whom the obvious is never quite enough, prefer the relatively minor but enormously cooler St Pauli, or perhaps Union Berlin. German wine is not Bayern Munich. German wine is St Pauli. As Jancis Robinson recently wrote, it’s difficult to find anyone who works in wine who does not love riesling. Ask 100 wine professionals to name their favourite white grape and 90 of them will without thinking give you the same answer. Ask the same question on the UK high street and you’d probably get more people saying picpoul. With my football-loving hat on, I’ve got to say Germany are so successful it’s annoying. And with my wine-loving hat on (I don’t actually have a wine-loving hat) Germany is so unsuccessful it’s frustrating. I can only imagine how infuriating it must be to those trying to flog their wines to the unappreciative British public. But if they do need to cheer themselves up, there’ll probably be an open-top bus driving past sometime soon. Not long ago the worlds of sport and wine explored totally different orbits. Footballers drank a fair amount, to be sure, but in Britain at least their beverage of choice came in pint glasses. Cyclists and long-distance runners once used brandy to keep them going, but then moved away from alcohol altogether and discovered cleverer stuff that came in syringes and intravenous drips. Now, though, you can’t keep them apart. Manchester United force Wayne Rooney to exhibit his ludicrous ham-acting skills in Casillero del Diablo adverts; the ongoing football World Cup has a partnership with Taittinger; and the Ryder Cup will be toasted with a special bottling of Mouton Cadet, “available from the month of June in some of the best golf courses and fine wine shops around the world”. 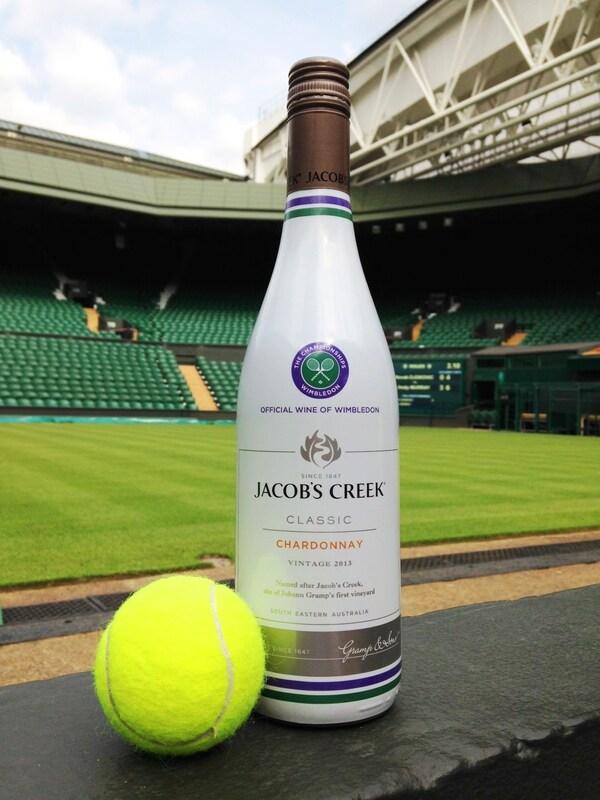 And then there’s Wimbledon, the demure, advertising-averse London-based tennis jamboree, which is in the fourth year of a partnership with Jacob’s Creek. * You should know who Johan Kriek is – he won two Australian Open titles in the 1980s, and got to the semi-finals in France and the US. Though to be fair he was only good for a couple of years. And I had to check on Wikipedia to make sure I hadn’t just made him up. 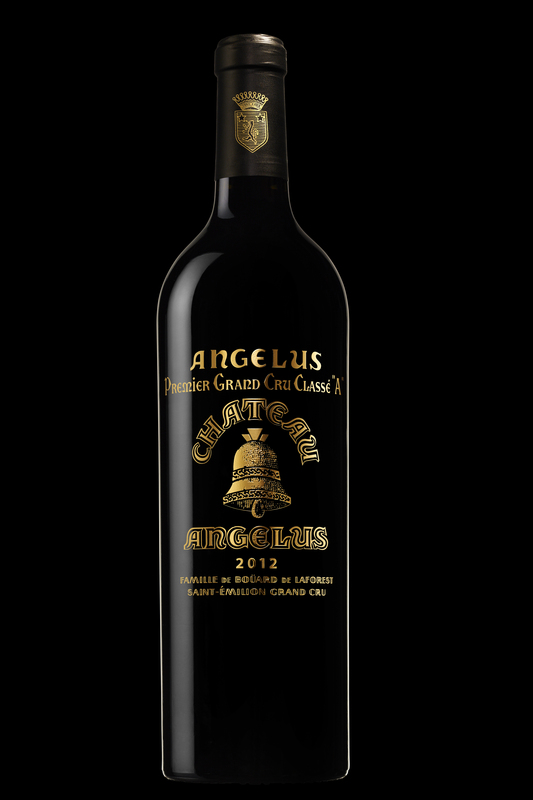 A while ago I received an invitation from Château Angélus, the famous estate from Bordeaux’s Saint-Emillion. The invitation specified that, should I accept, I would witness with my own extremely lucky eyes “the launch of … a remarkable bottle for a remarkable vintage”, the vintage in question being not the much-hyped 2009 or the possibly-even-more-hyped 2010, but the 2012, a year that inspired relatively few superlatives. The mind boggled, it spent a while boggling, and then it conjured the image of the Penfold’s Ampoule, the £120,000-a-pop hand-blown lesson in unintentional ludicrousness that had sullied the name of a once-proud Australian winery (while bringing quite a lot of bonus publicity, it had to be said). This new bottle would surely be a) idiotically expensive, and b) idiotic, and c) full of properly delicious liquid. I accepted immediately. It seemed obvious to me, inevitable even, that the bottle was going to be expensive, tasteless and gaudy, and would give me a lot of entertaining blog-fuel. I could scarcely conceal a grin throughout the previous day. I was going to be given lunch, wine and the opportunity for unlimited savage mickey-taking, all of it compressed into a couple of wondrous hours on a Friday afternoon. Things took a turn for the worse when I found myself sitting next to Stephanie de Bouard-Rivoal, the frustratingly charming young deputy managing director of Château Angélus, and seventh generation of the Bouard de Laforest family to work at the estate since they took it over in 1909. 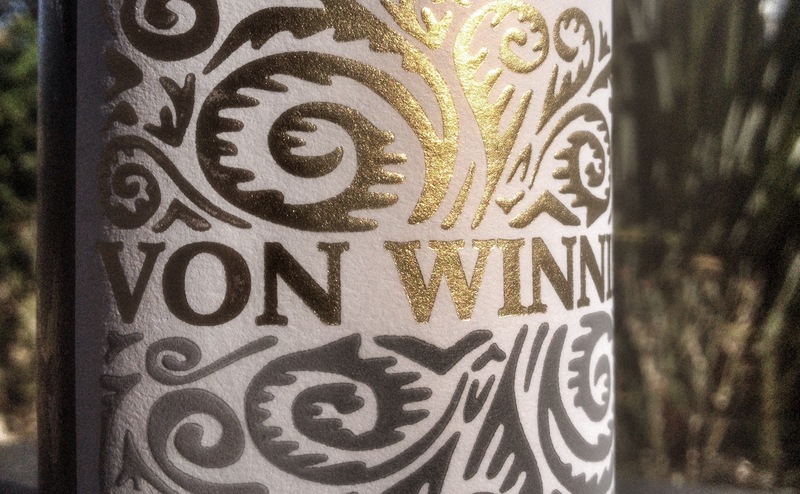 The new bottle, still hidden underneath a golden cloth at that stage, had been her brainchild, intended to mark the château’s promotion to Premier Grand Cru Classé A status, the completion of building work on the château itself, and the birth of her sister’s baby, signifying the coming of an eighth generation. The poor infant has no idea that its destiny is already mapped out, a destiny that will involve a lot of travel, smart clothes, nice hotels and delicious wine. And then the cloth was removed with a fanfare – literally, while an actual fanfare was played, a genuine moment of ludicrousness that prompted guffaws from the assembled winos. For the first time we saw the bottle, and – curses – it was not hideous. 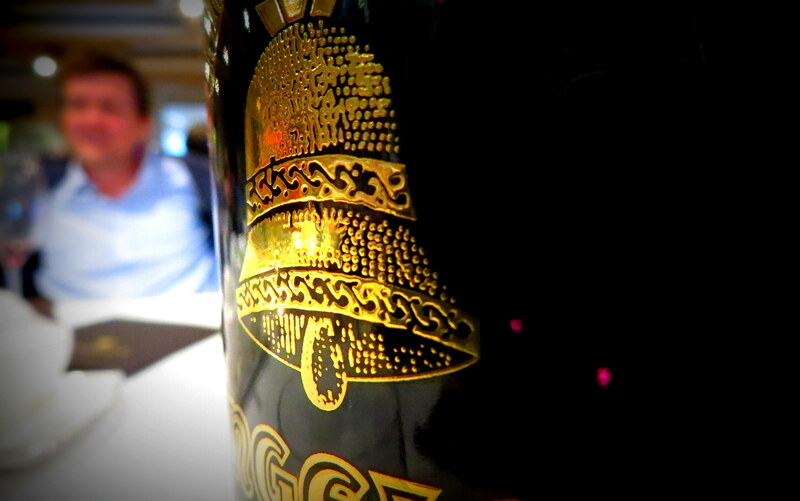 Indeed, it was really quite elegant, as understated as a bottle can be when it’s encrusted with 21.7-carat gold, the metallic lustre contrasting with the dark bottle in a really quite appealingly dramatic way, the craftsmanship truly impressive. I took a sample bottle, sadly empty, and scratched at it with my thumbnail, hoping to see the gold flake away and give me something to complain about, but there was no shifting the stuff. We also drunk some of the wine – not the 2012, which hasn’t been bottled yet, but the 2011, 2007 and 2006. The most interesting comparison was between the 2007, which was overwhelmingly fragrant and delicious, and the 2006, which was tighter and broodier. In time, the 2006 will unfurl and relax and become every bit as (figuratively) intoxicating as it’s younger sibling, perhaps more so. Everyone around me agreed that because it didn’t currently taste anywhere near as good as the 2007, the 2006 was certainly the better wine. Wine appreciation can be a counterintuitive business sometimes. There is only so much gold buried in our planet, and to stick some on a bottle that sooner or later will find itself at a recycling plant or buried in a landfill site, its precious cargo lost forever, is a bit sad. But having said that, it’s not very much gold in the scheme of things, it looks good, and what’s inside will almost certainly taste excellent. For all the event’s rich promise, I found nothing to laugh about here. Except, perhaps, the price, but if you’ve got a spare £1200 or so to spend on six bottles of wine, you go right ahead. They’ll look great. I like words. Good ones, or even standard ones chosen particularly craftily and then put in the right order, bring me pleasure. But I’m not crazily demanding: I’m perfectly happy to put up with a very ordinary choice of words, so long as they convey a meaning precisely and succinctly. But equally the wrong choice of words – I’m talking of the “serious as cancer when I say rhythm is a dancer” ilk here – can make me really quite annoyed. In the latest issue of Decanter, the nation’s premier wine magazine, someone has used the phrase “gustatory perception”. There is something about the phrase “gustatory perception” that, perhaps fittingly, sticks in my throat. In my opinion the phrase “gustatory perception” is acceptable only when used either in a scientific journal or with enormous quantities of irony, and probably best used ironically in a scientific journal. In this case, however, the phrase “gustatory perception” has been used without irony in a consumer magazine by a writer who, as a direct result of producing the phrase “gustatory perception”, was rewarded with real money. He might have ended that sentence with the simple phrase “what the drinker tastes”, but he chose not to. But I don’t blame the writer, I blame the people at Decanter, for creating a magazine in which the non-ironic use of the phrase “gustatory perception” is acceptable. A magazine that doesn’t care whether words are used in the kind of combinations that bring pleasure. It was the final straw. I’ve put up with the endless panel tastings of wines I’ll never even consider buying, the profiles of wineries everyone already knows about, and the hideous awards issue – an annual doorstop-sized exercise in reader-alienating industry back-slapping – but this was too much. I stuffed the magazine back in my bag unfinished and spent the rest of my bus journey gazing sniffily out of the window. The following day I got a letter from the magazine’s publishers telling me that my subscription was up for renewal. The only reason I’ve put up with Decanter for so long is that there really isn’t anything else. In the world of wine publishing there’s no equivalent of the old NME-or-Melody-Maker newsagent-based reading wars. In the world of wine publishing there’s not even a reading skirmish. There’s barely a reading evil glare. There’s one wine magazine that you sometimes see in shops that sell magazines, and that’s your lot. There are a couple of others that you sometimes see in high-falutin’ bottle shops: the World of Fine Wine, whose very name conjures up images of the kind of people who like to let the phrase “gustatory perception” swirl around their mouths like it was the finest Montrachet. The main problem with WoFW is that it costs £89 a year (print only) which, given that it’s a quarterly, amounts to £22.25 an issue, which is bad value however good the writing is. Then there’s Noble Rot. At £32 a year (in the UK) it’s £8 an issue, which is quite a lot if you compare it to standard consumer magazines, but makes it very much the Jacob’s Creek to WoFW’s Chateauneuf. The good thing about Noble Rot is that it concentrates not on telling readers how wine should taste and whether it’s better or worse than other wines that taste almost exactly the same, but on stories, many of them very well told, and people, many of them largely unknown. 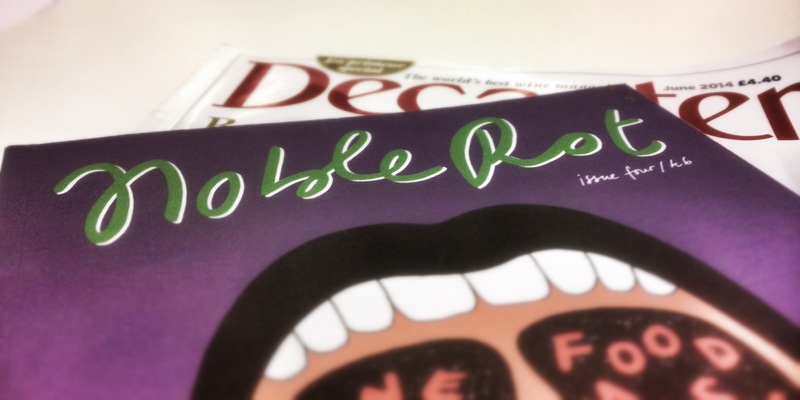 The bad thing about Noble Rot is a lack of storytellers: the guys behind the magazine are called Dan Keeling and Mark Andrew, and of the 29 articles in the latest issue they wrote or co-wrote 15 of them, as well as taking most of the photographs. Their omnipresence gives a home-made, rough-and-ready fanzine feel to a magazine that otherwise looks and feels pretty professional, but they have ability to match their enthusiasm. I’m new to Noble Rot, and have yet to become infuriated by any repeated faults it may have. It’s certainly not perfect, and there are some articles in this issue that seem useful primarily as space-fillers. But it is by some margin the best periodically-published collection of largely wine-focused words at a vaguely acceptable price in the land, a small boast but a notable one. Decanter have had their time; this subscriber is going elsewhere. “If I could only drink the wine of one country, it would have to be Italy,” said Ewan, the Wine Society’s archduke of media, as I complimented the Sagrantino di Montefalco they showed at their press tasting. Hmmm, well, I don’t know about that – I’d rather not just drink the wine of one country, but if I absolutely had to (which, just to be clear, I don’t, and never will) it would probably be lFrance, boringly. If I could only buy my wine from one retailer, on the other hand, I’d know instantly which one I would choose. The Wine Society send me more paper than I really need in my life, they get really excited about en primeur campaigns they probably shouldn’t wholeheartedly recommend, and they have no retail outlet in the East Finchley area. That is all I can really think of to criticise, at the moment. On the plus side, their range is vast, their prices are good and their staff – even if you’re only likely to deal with them over the phone – are friendly and helpful. It being physically impossible to try their entire range in any reasonable amount of time, their press tastings feature a selection of new additions and particular favourites. Clearly they’ve been hunting with some success in Europe’s less renowned winegrowing areas, with more wines on show from Bulgaria than from the Rhone, and appearances for Spain’s Txakolina – very good, fresh, zippy and due in stock in July – and Sicily’s Zibibbo – in fact muscat by another name, and thus good if you’re a fan of intoxicating white grape juice which tastes exactly like the non-intoxicating white grape juice that comes in cartons and is given to kids. They also continue to push the Blind Spot range, made just for them by much-hyped Australian winemaker Mac Forbes (the Clare Valley Riesling was good, the Rutherglen muscat excellent, but the Gunagai shiraz a bit disappointing). Radford Dale Chardonnay 2012 The highlight of the chardonnay corner (there really was a chardonnay corner), and certainly not the most expensive. Taut, mineral and super-delicious. £18, from May. Undurraga TH Garnacha Carignan Monastrell 2011 Both the wines in this label were fantastic (the other being the 2012 Las Gaviotas San Antonio pinot noir, which will also turn up in the summer, and could probably do with a bit more time before opening). This was herby and savoury and full of personality and depth. A good personality, as well. One I could hang out with. £13.95 or thereabouts, from July. 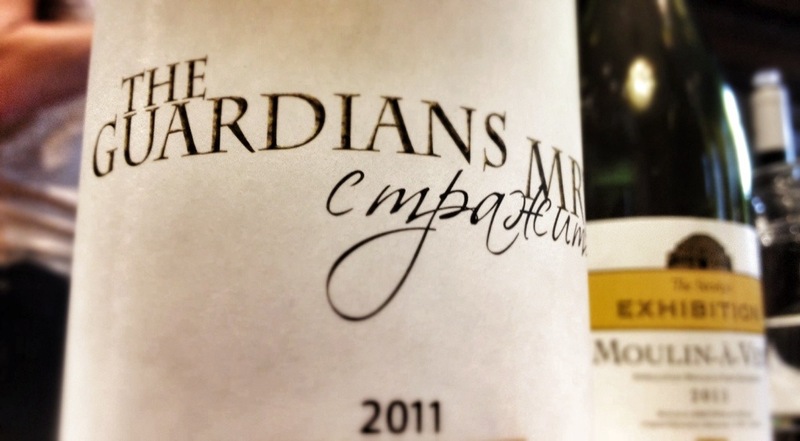 The Society’s Corbieres 2012 Here’s your good-value midweek drinker. One of their best and most bargainous own-label efforts. £7.50 (but 25p cheaper for the next few days). For the sake of fairness, having told you my favourites I should also tell you my least favourite wine of the tasting, an unlovely, tarnished, rusty award which hangs heavily around the neck of the 2012 Koyle Costa Rapel Coast pinot noir, which is due to come online in April, and tasted dusty and confected and not a whole lot of fun. It costs £11.50. Buy it if you like, but don’t come crying to me if you do.